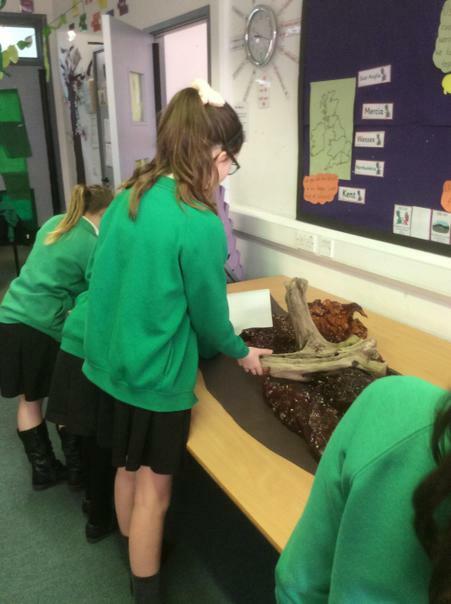 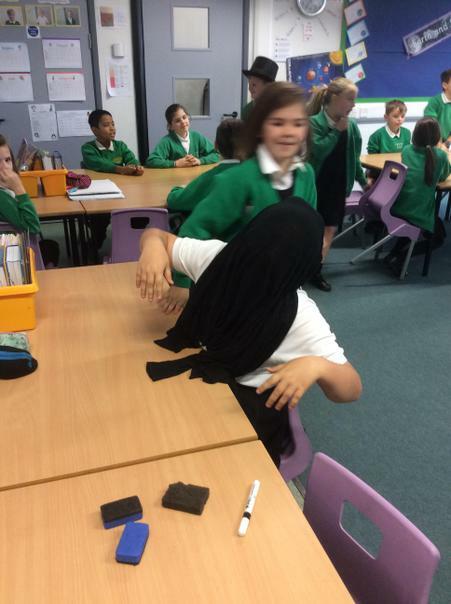 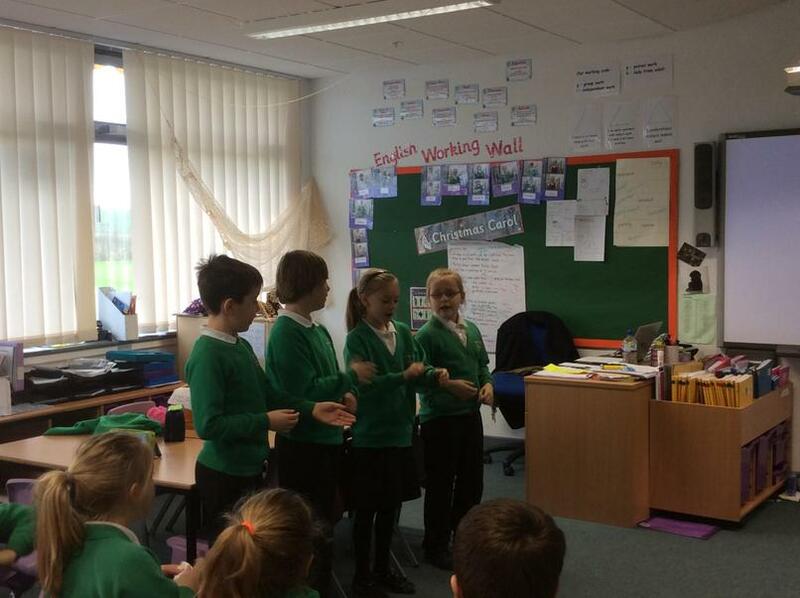 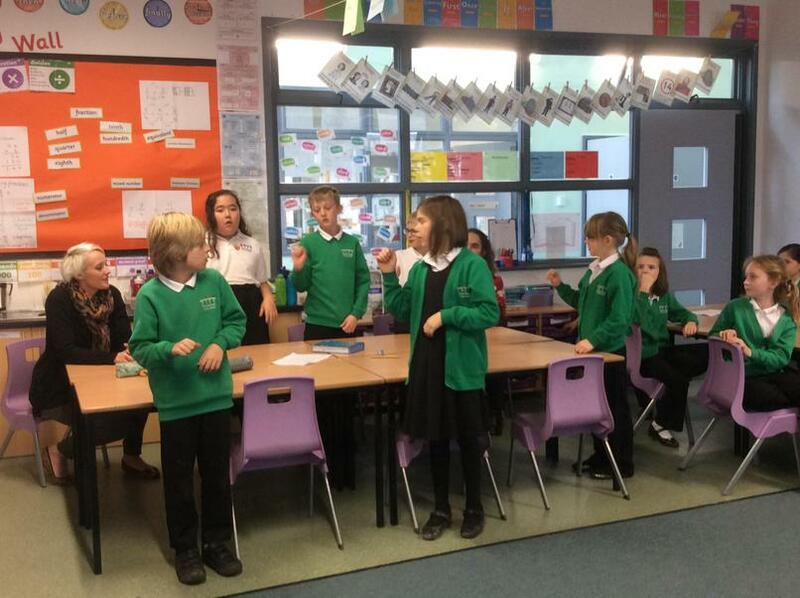 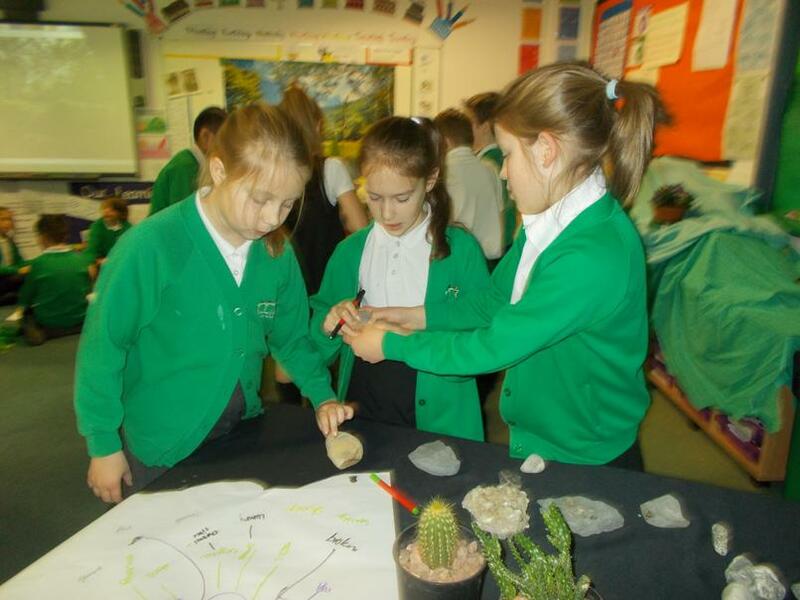 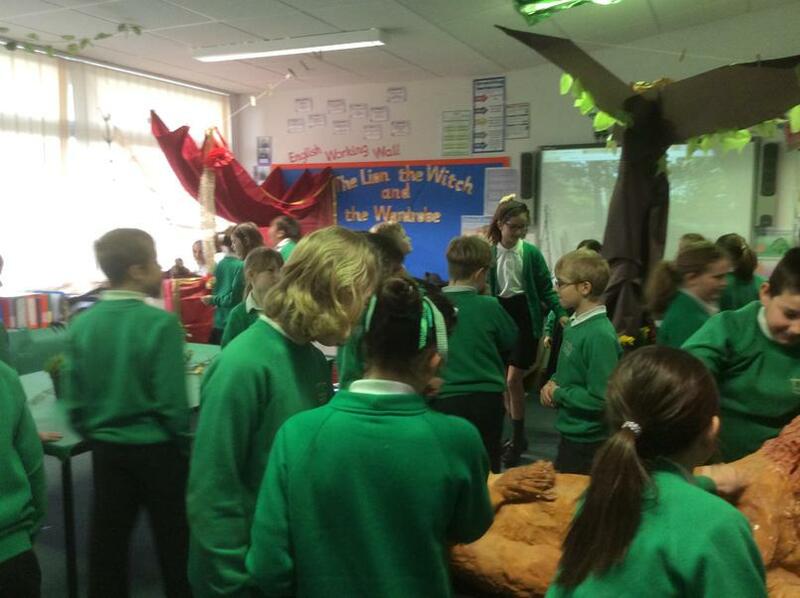 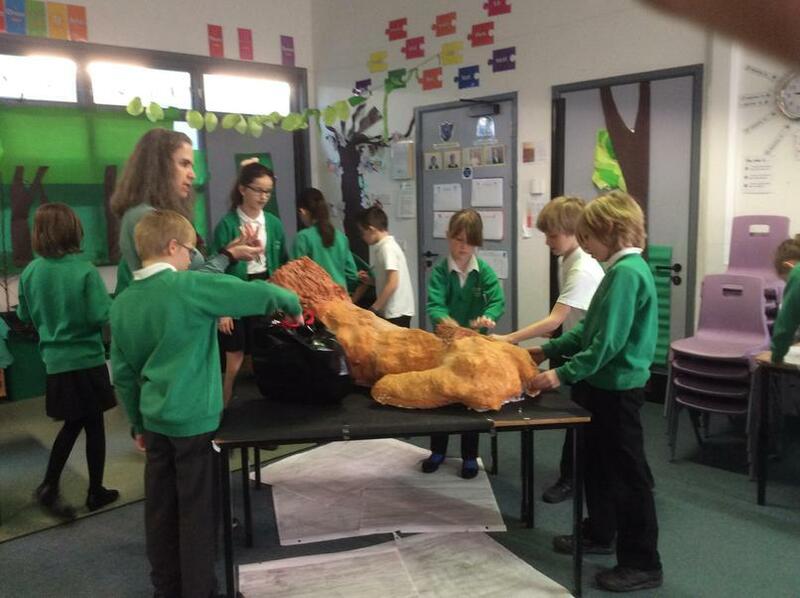 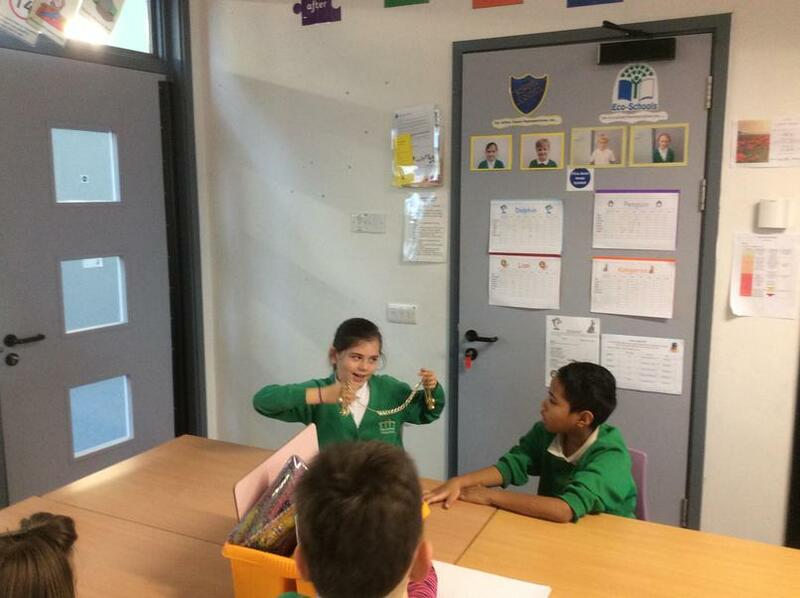 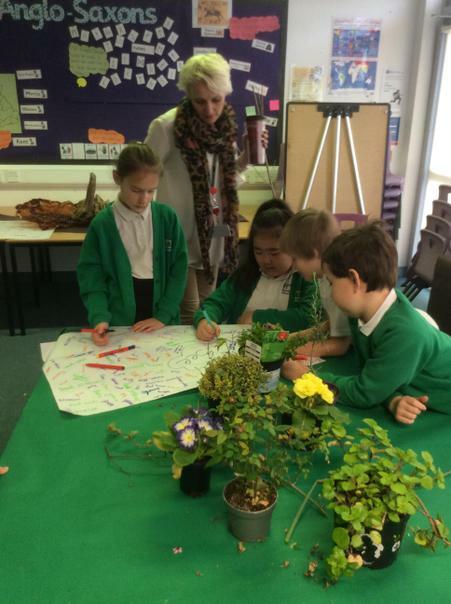 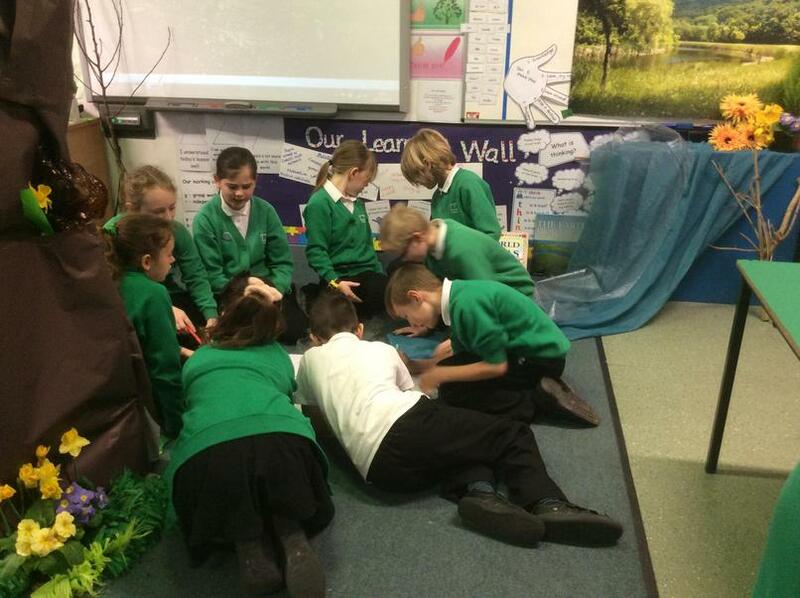 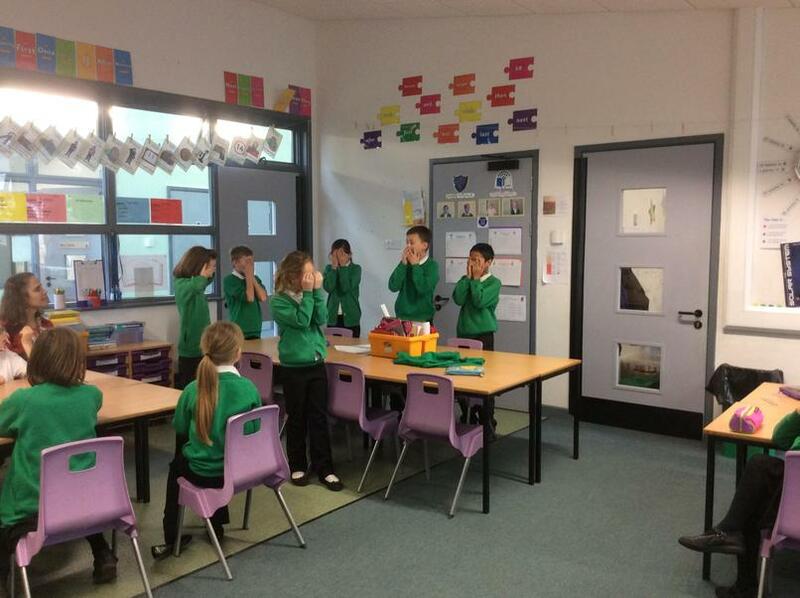 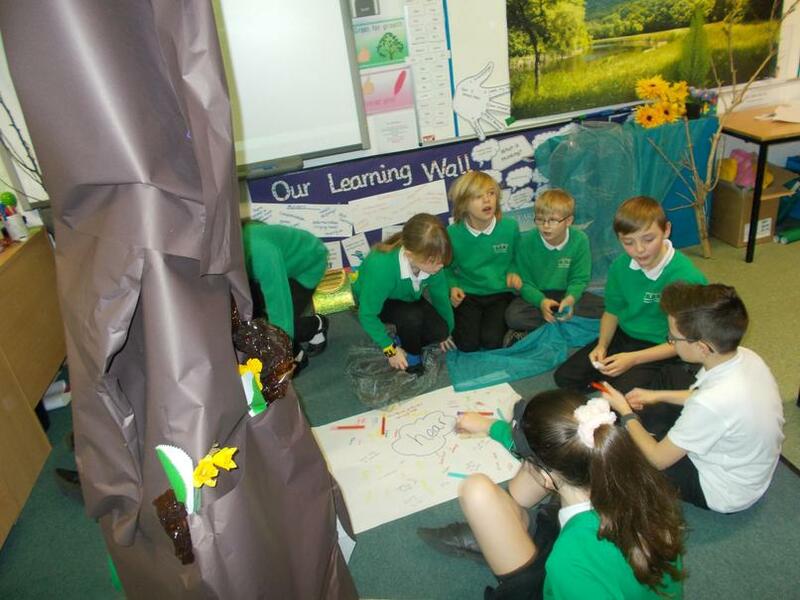 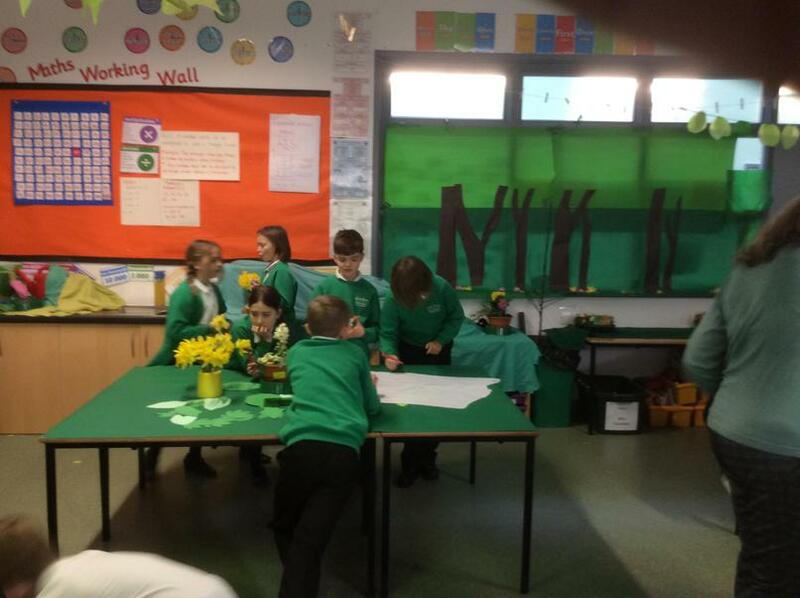 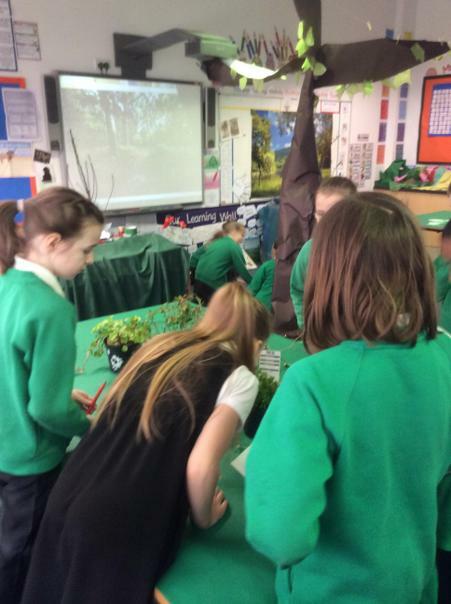 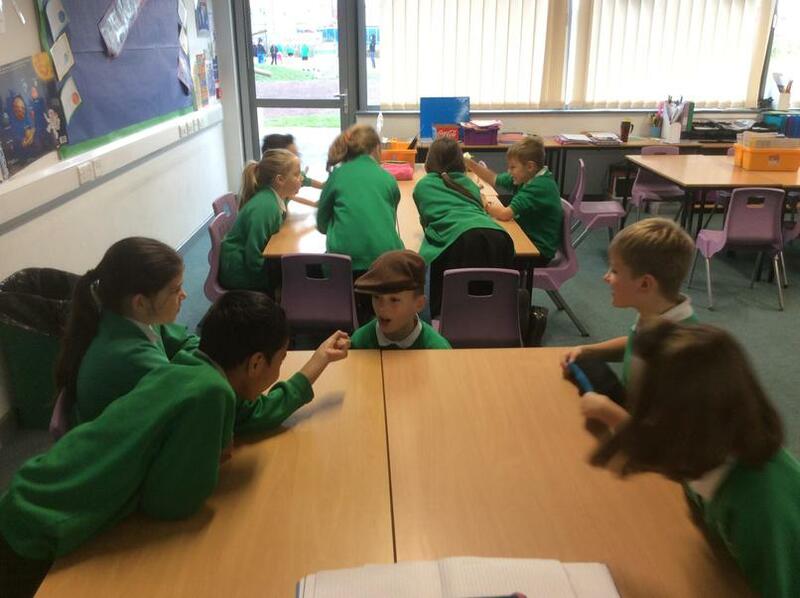 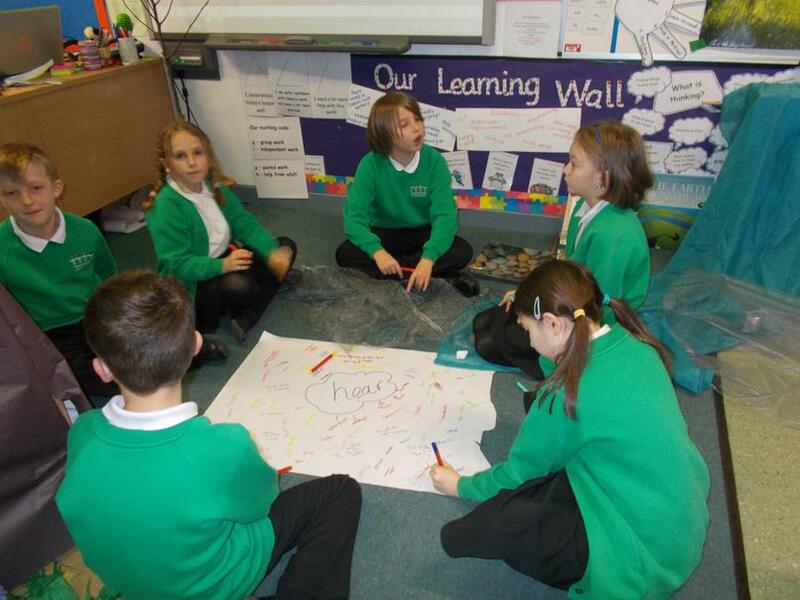 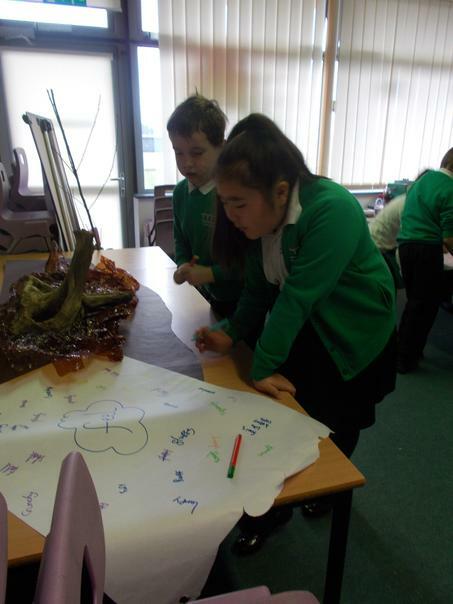 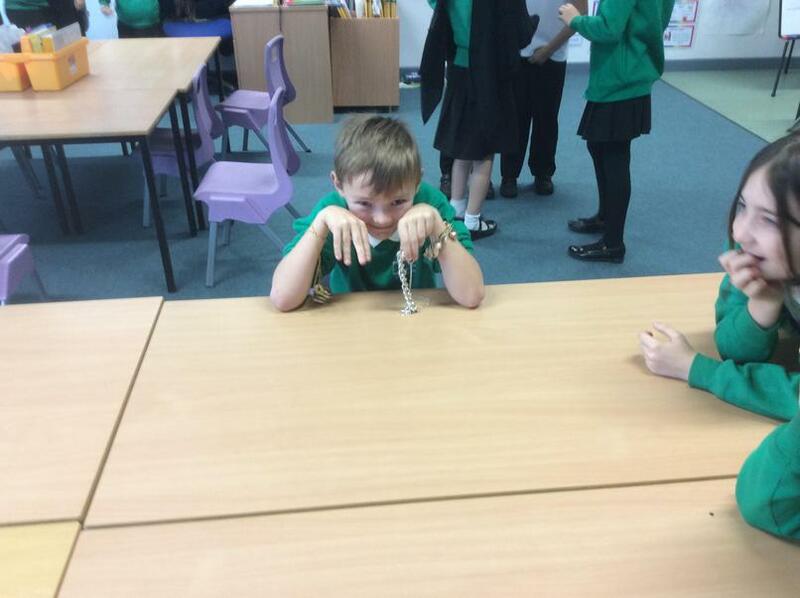 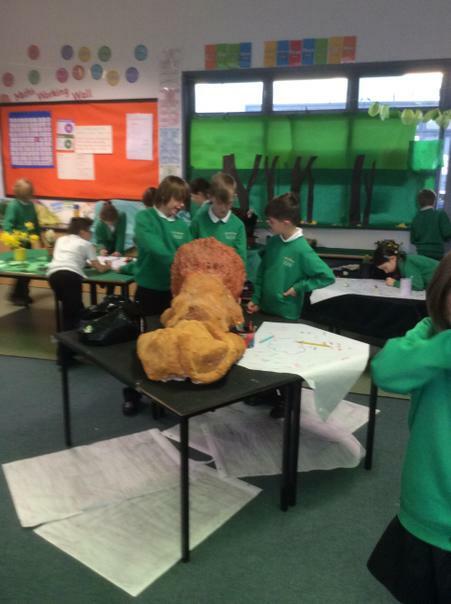 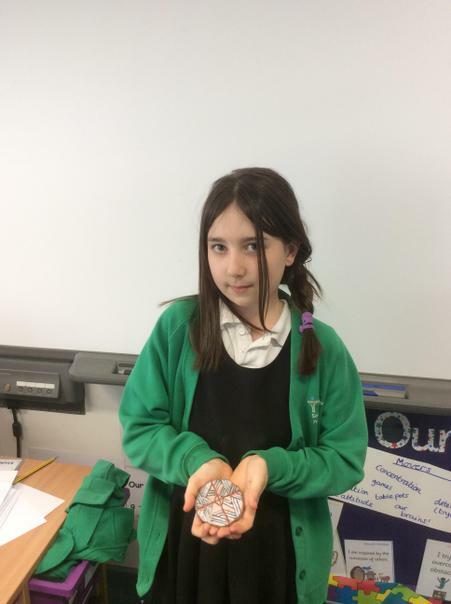 In the Spring term our class have been exploring the Anglo-Saxons and how they lived. 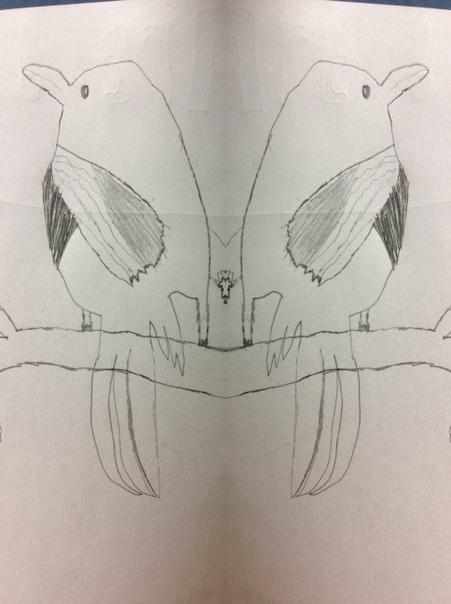 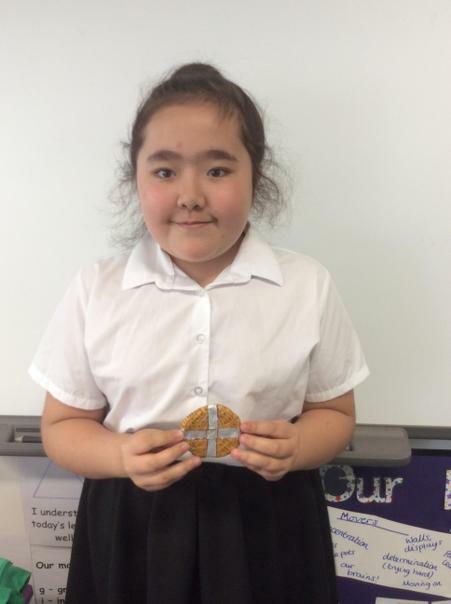 We have found out about their beliefs, daily life, and their culture. 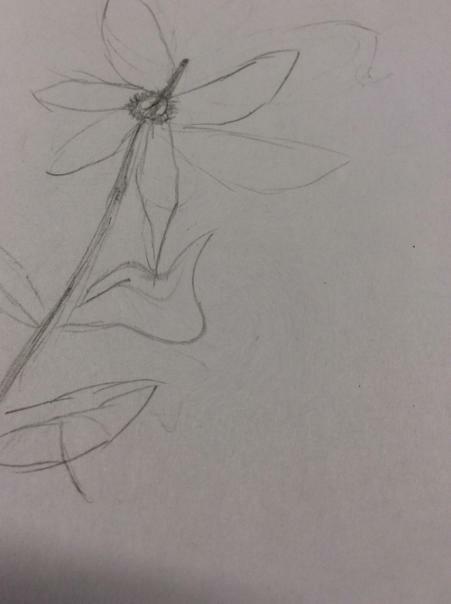 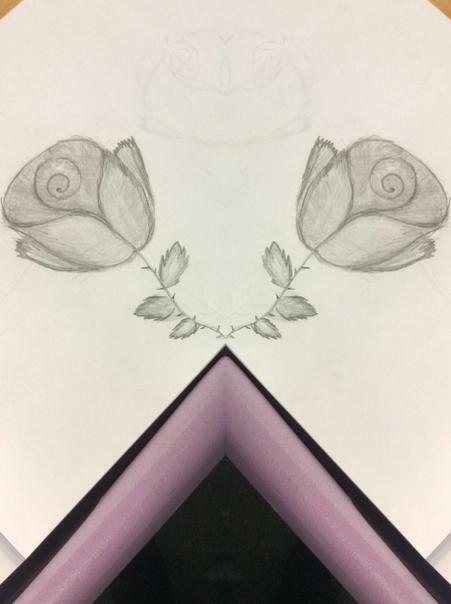 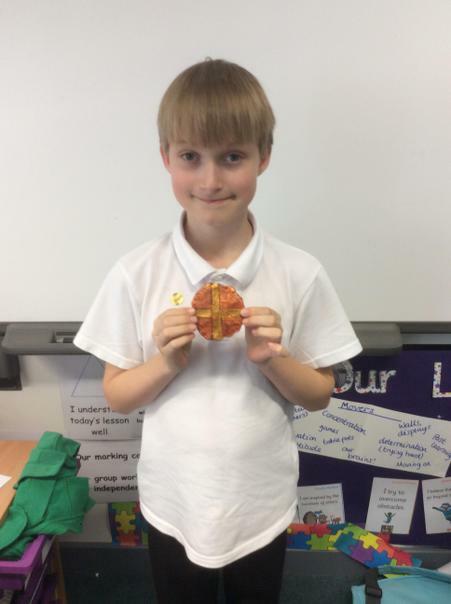 In Art we have looked at how the Anglo-Saxons used symbols in their jewellery, and we have designed some symbols of our own. 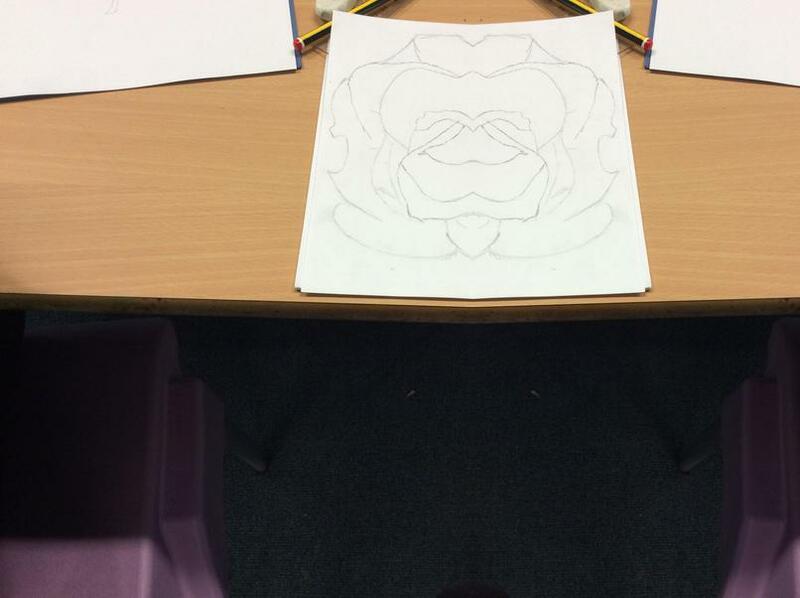 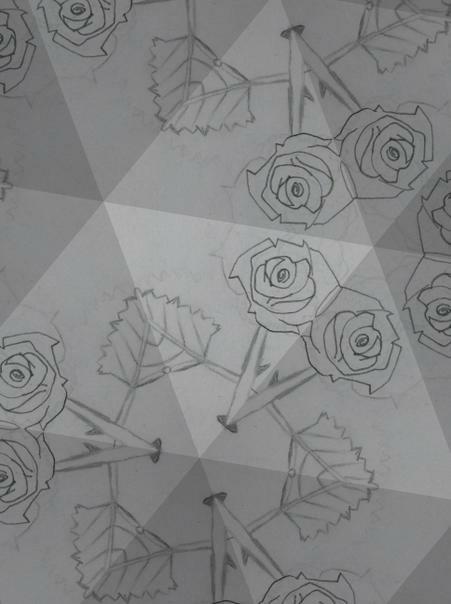 We turned these symbols into patterns using Maths skills like reflection and rotation. 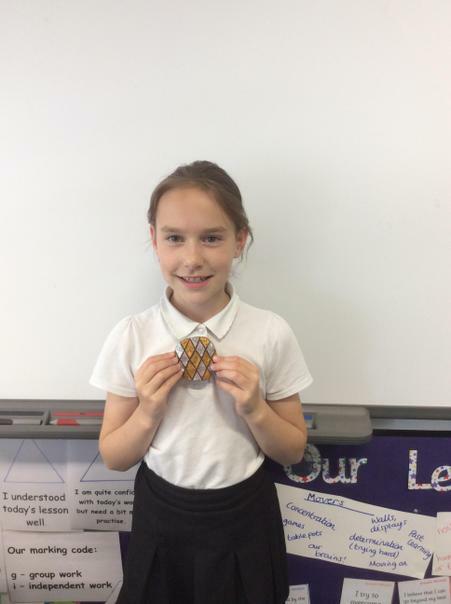 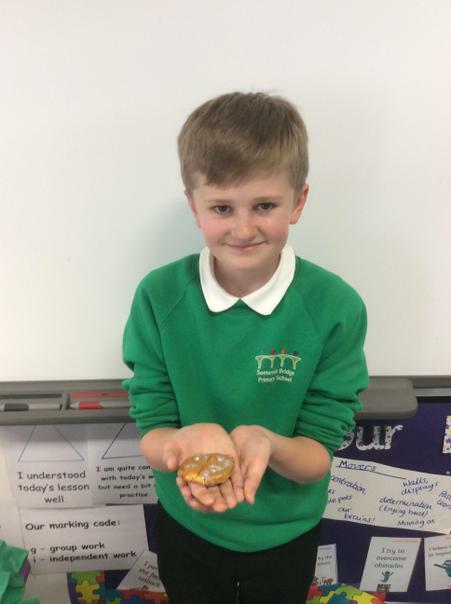 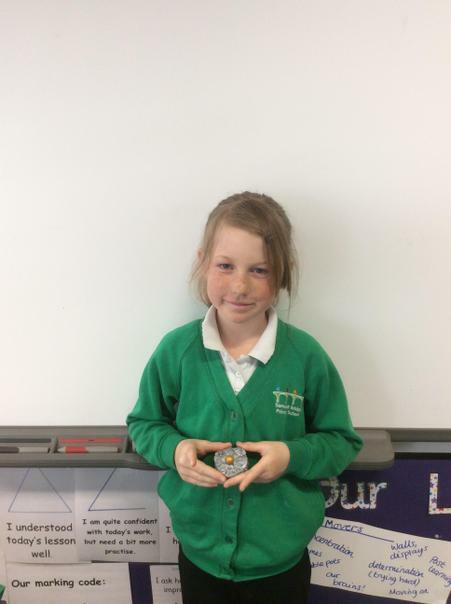 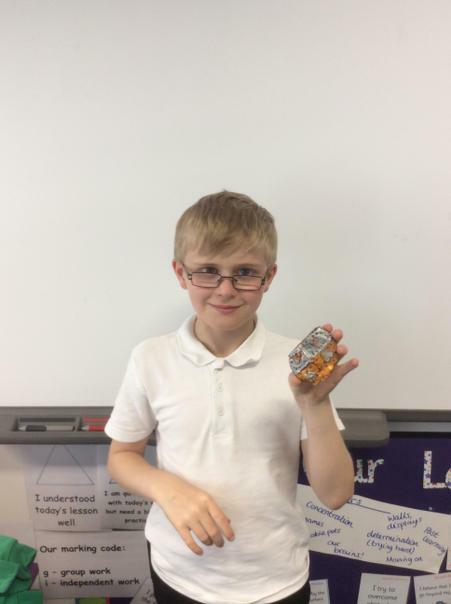 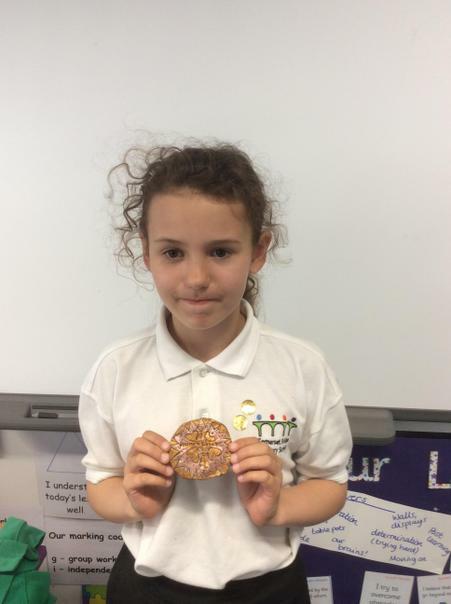 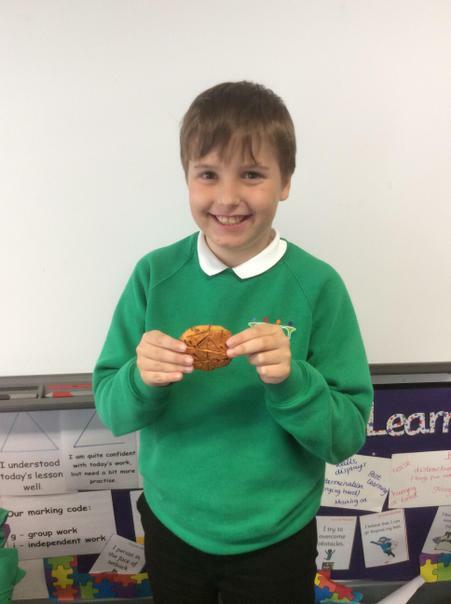 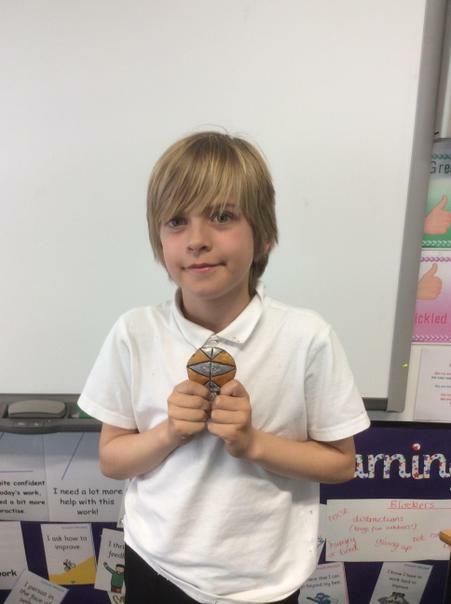 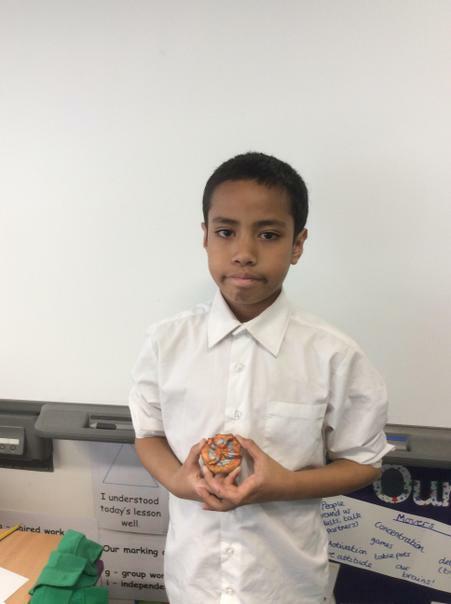 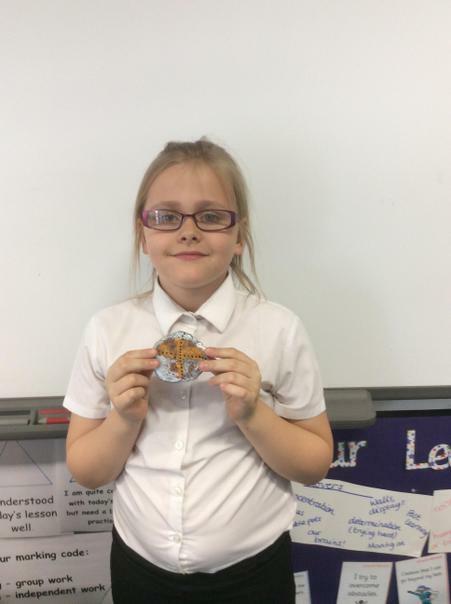 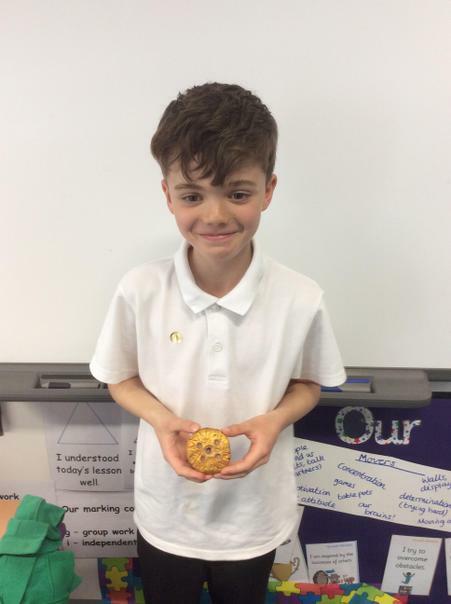 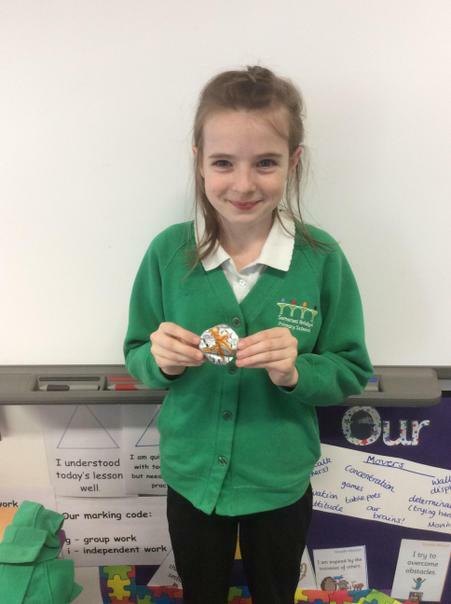 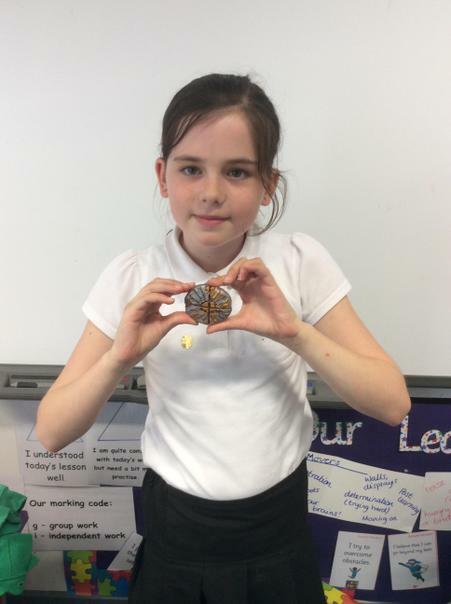 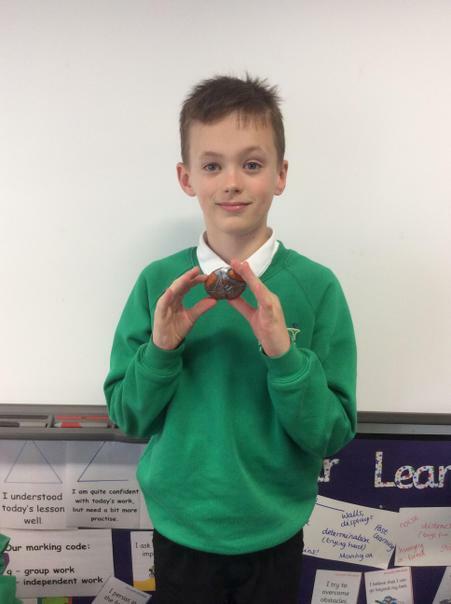 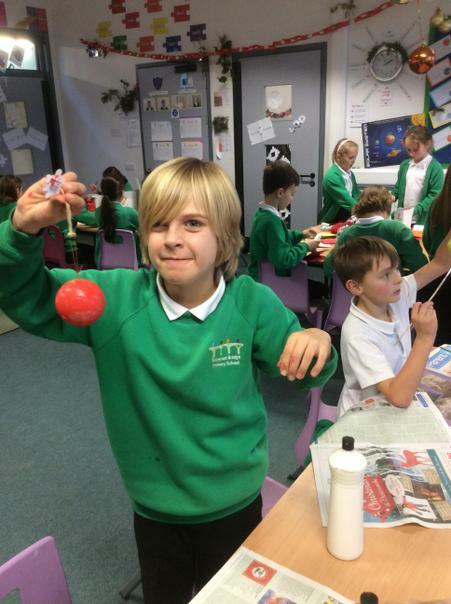 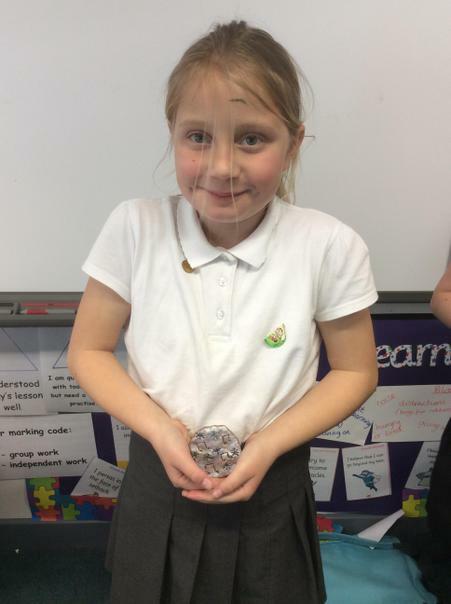 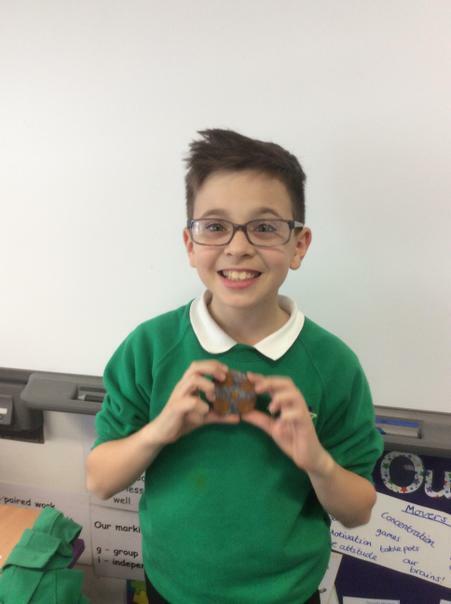 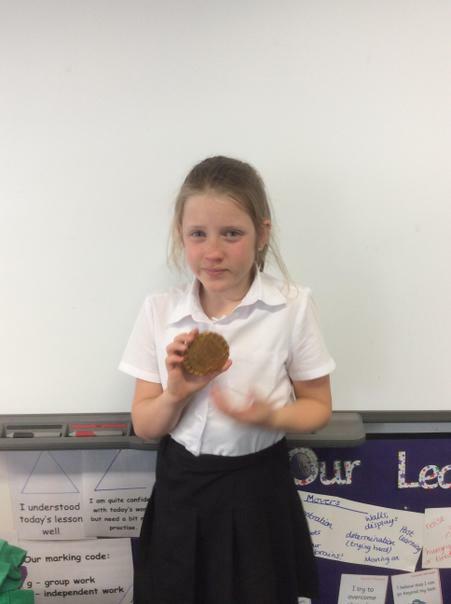 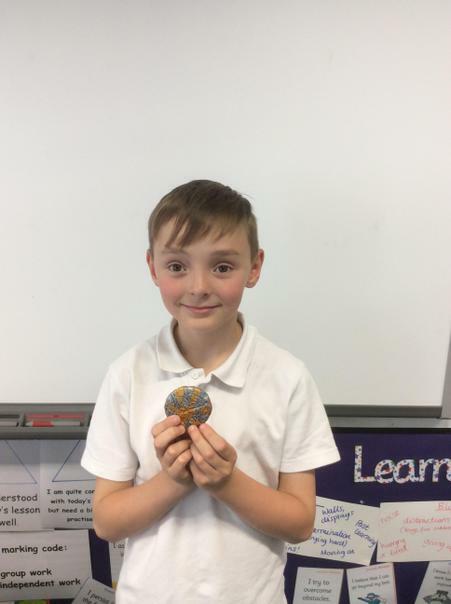 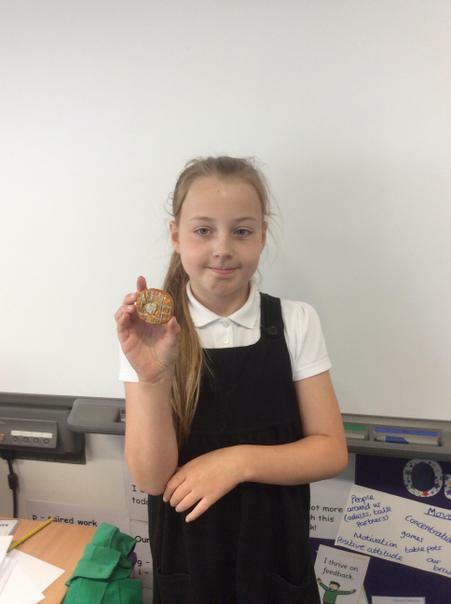 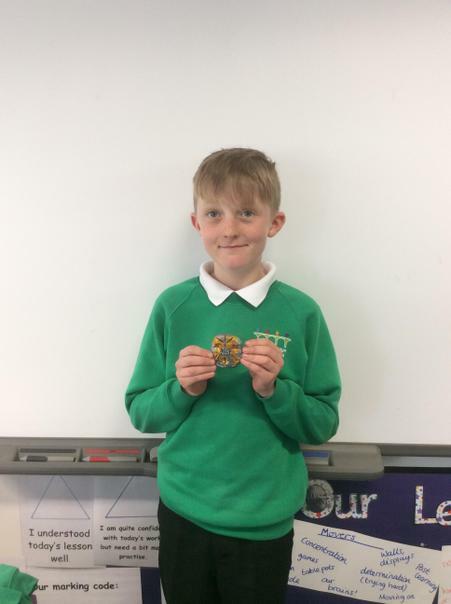 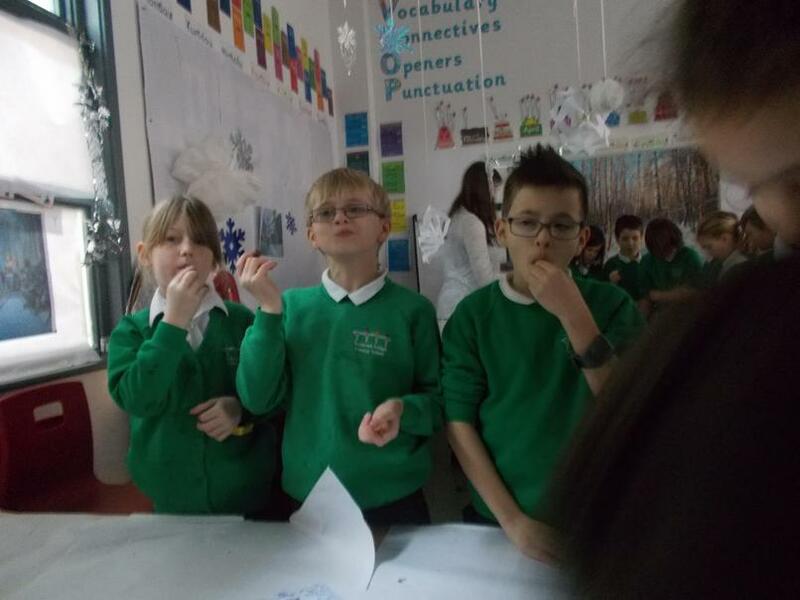 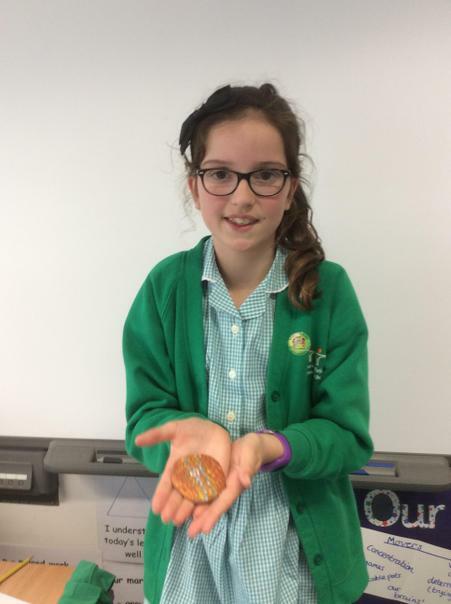 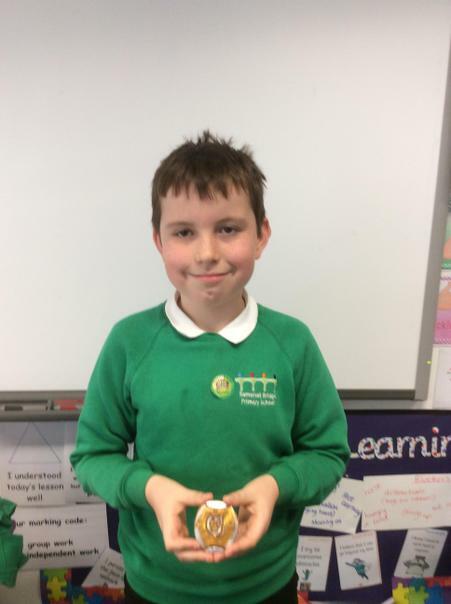 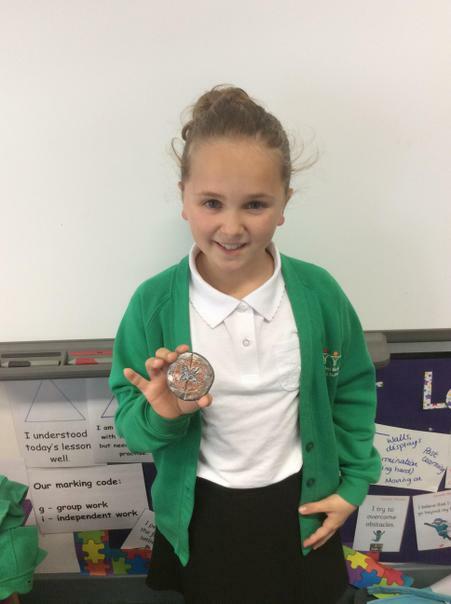 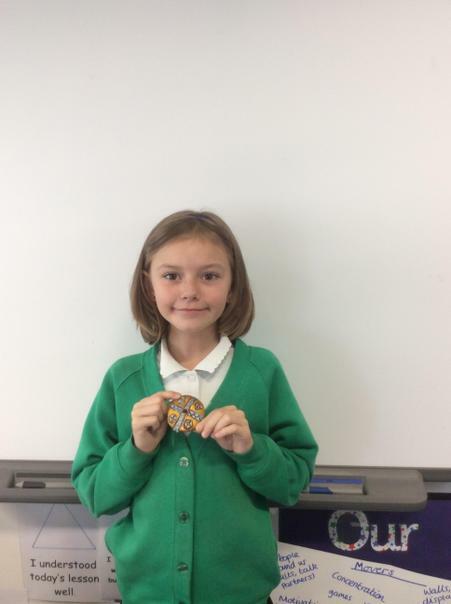 When we were happy with our designs we used clay to create brooches like those that the Anglo-Saxons used to hold up their clothing, and painted them using metallic paints. 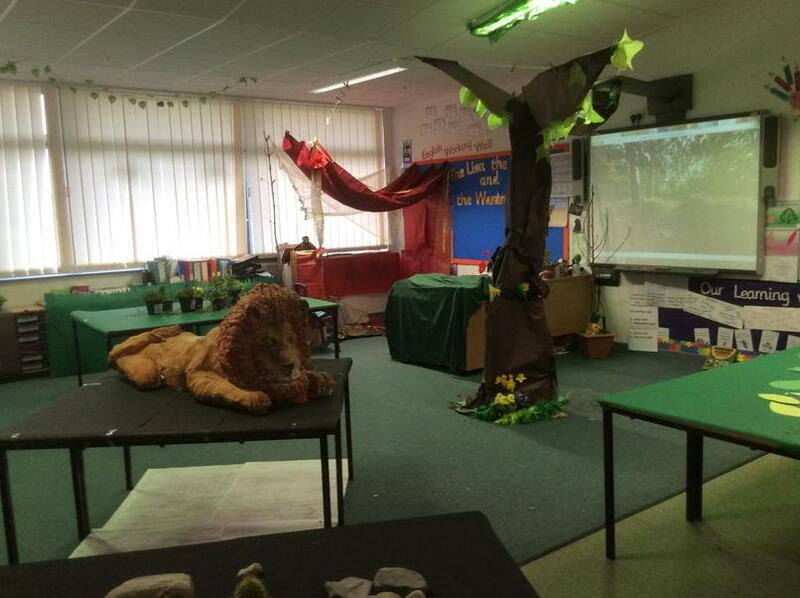 This half term we are reading The Lion, The Witch and The Wardrobe by C S Lewis. 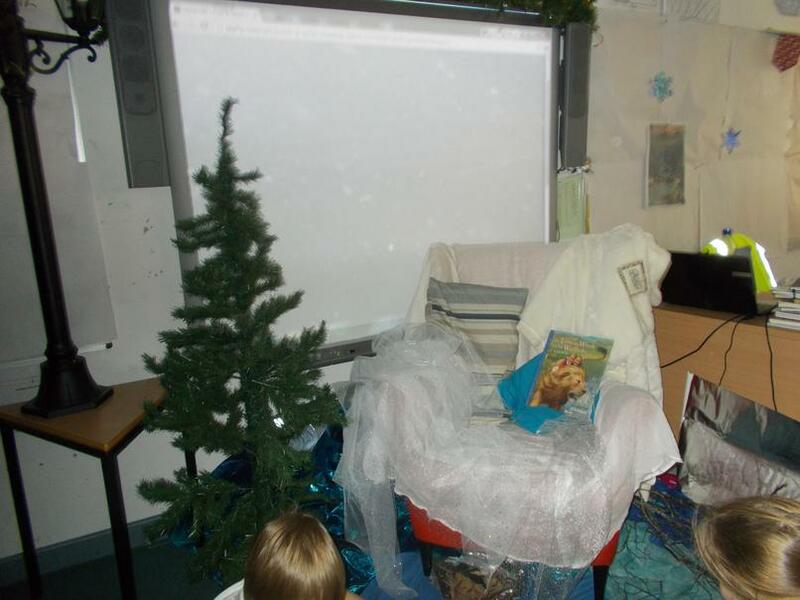 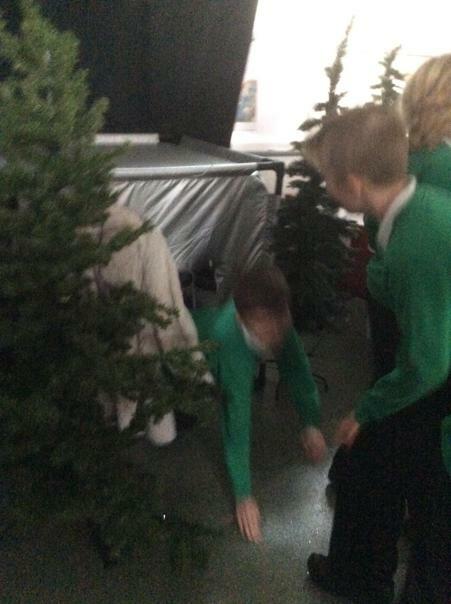 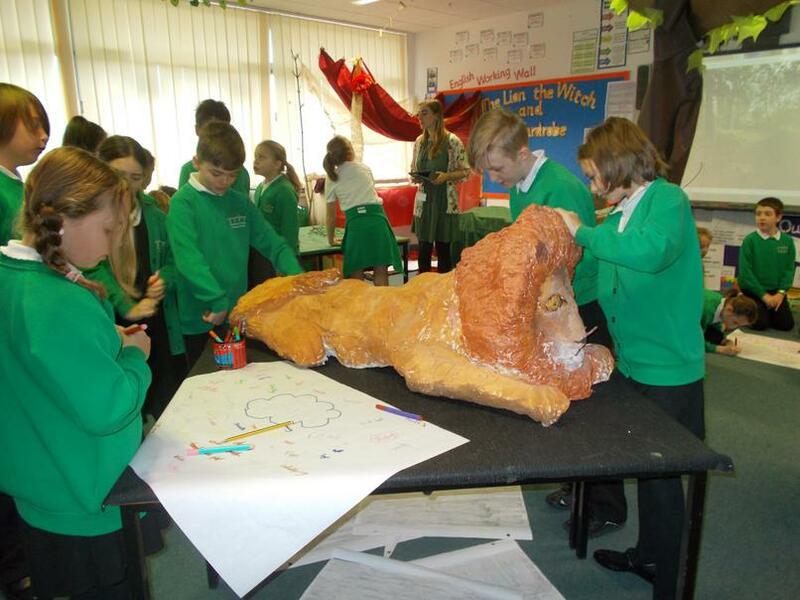 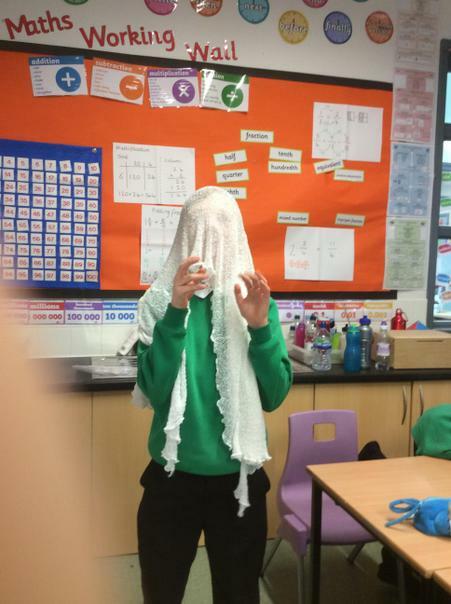 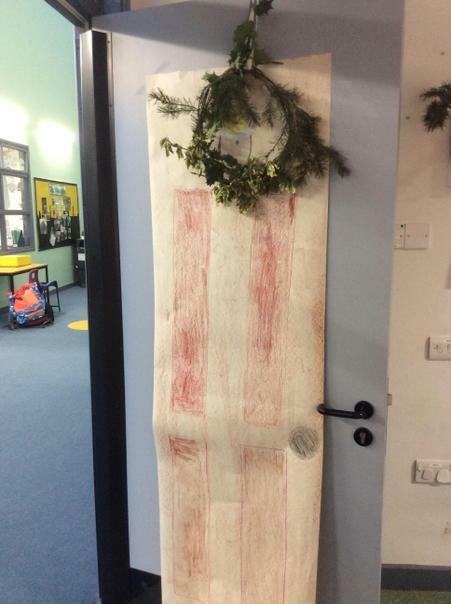 As part of our work on the story we went through the wardrobe and experienced Narnia during the time of the White Witch and as Aslan returned. 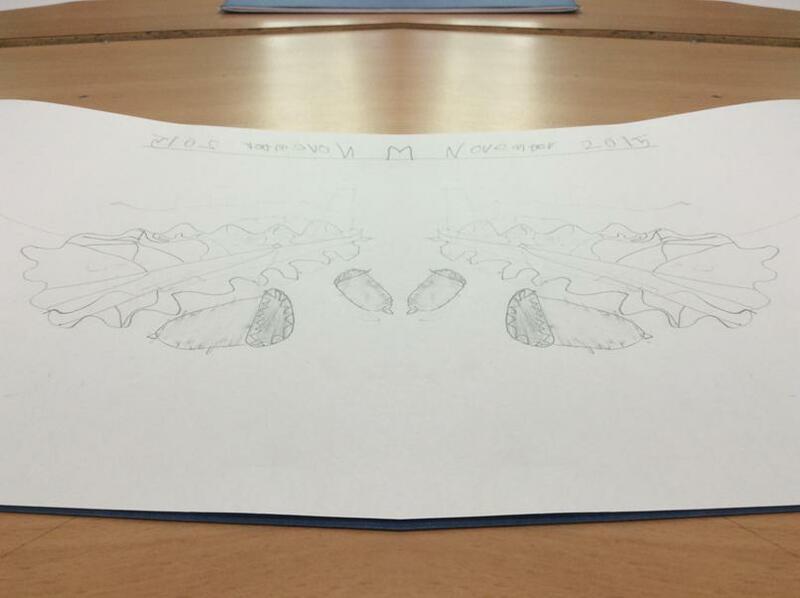 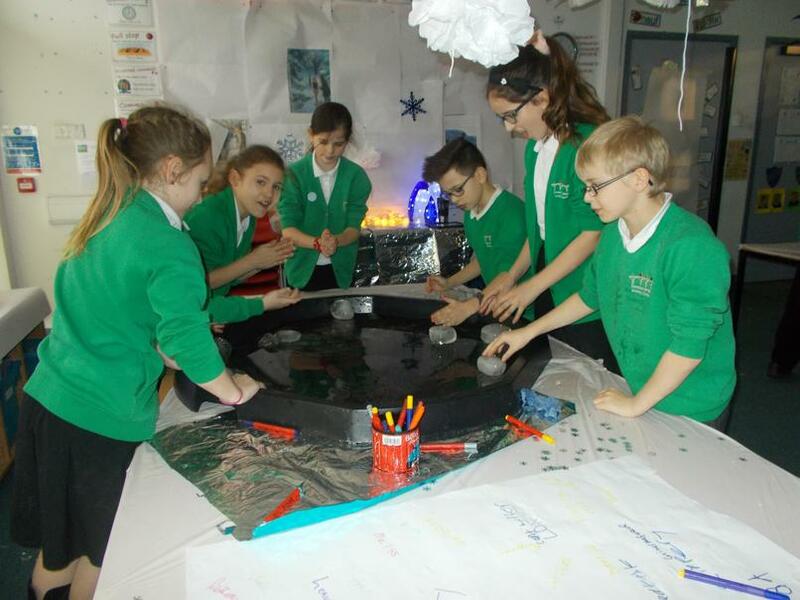 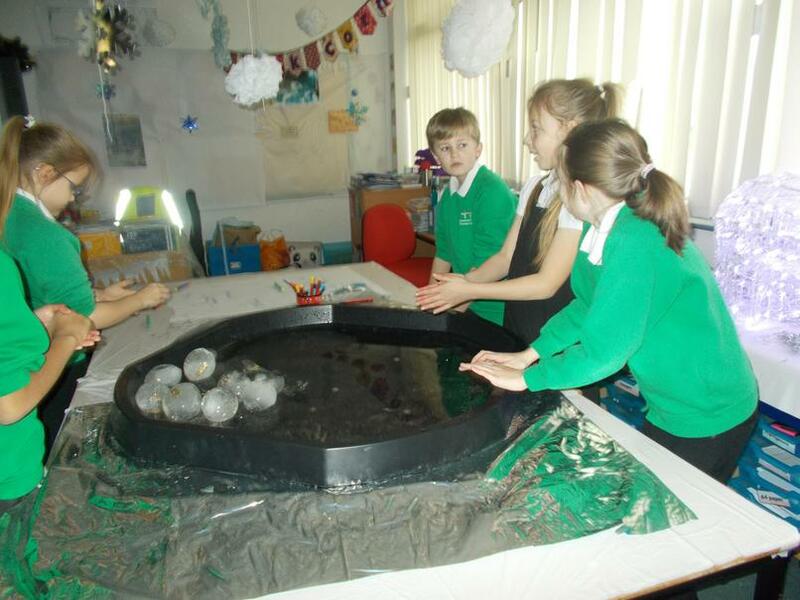 We will use this experience to help us write our own portal stories. 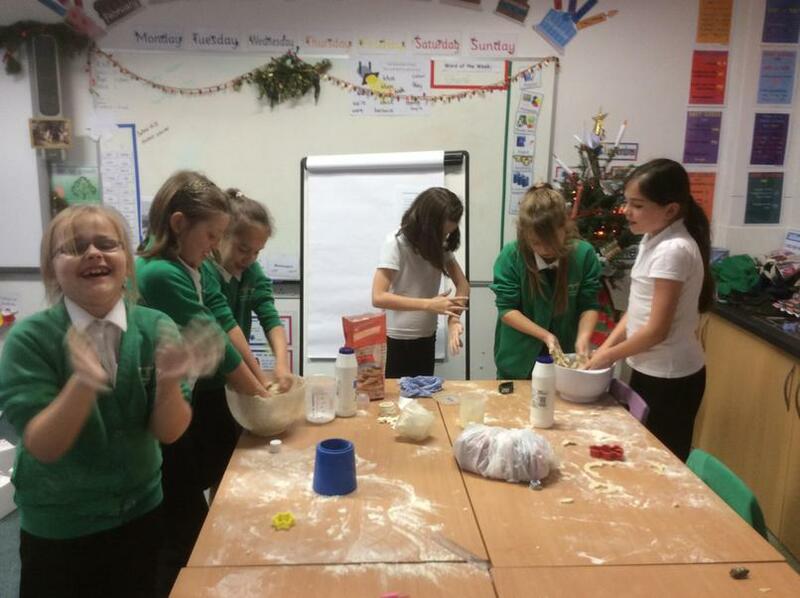 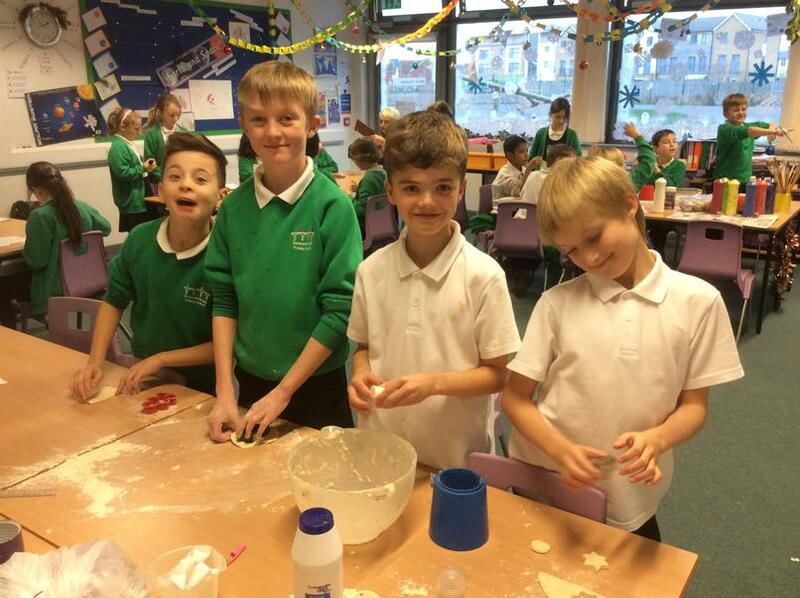 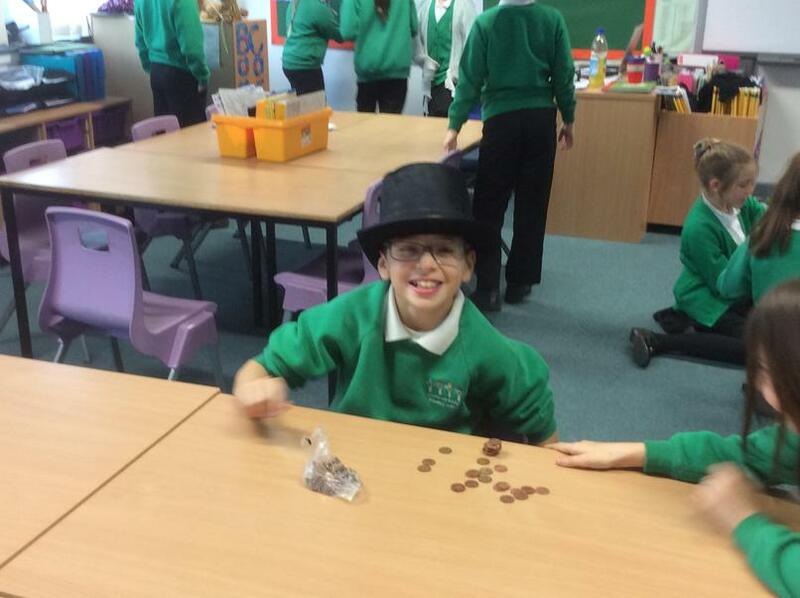 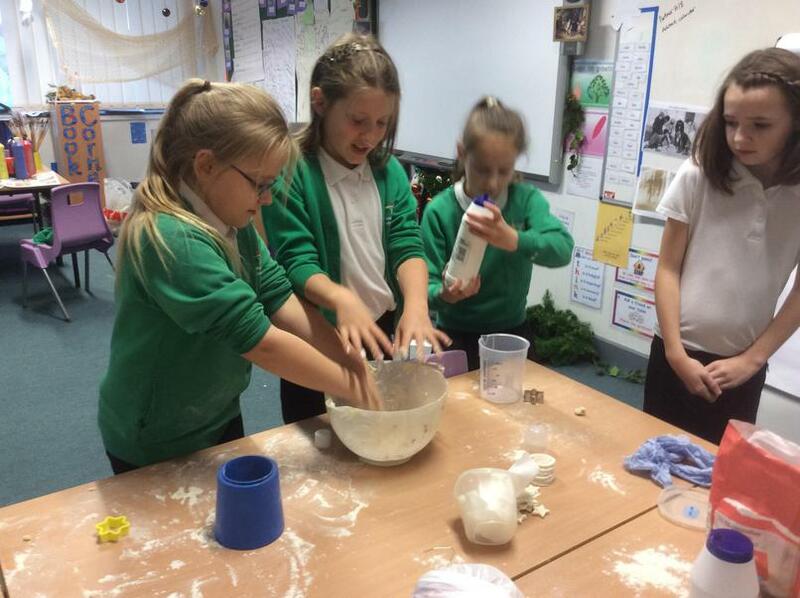 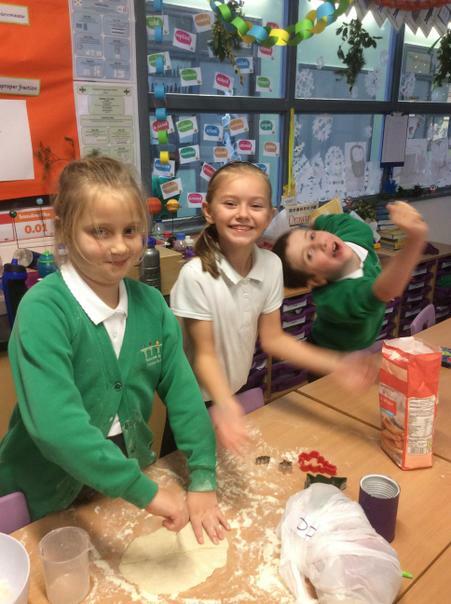 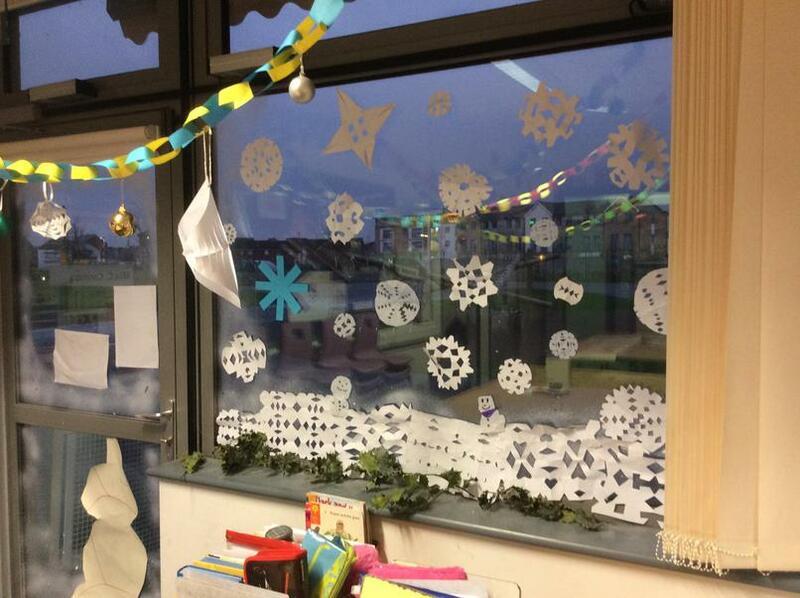 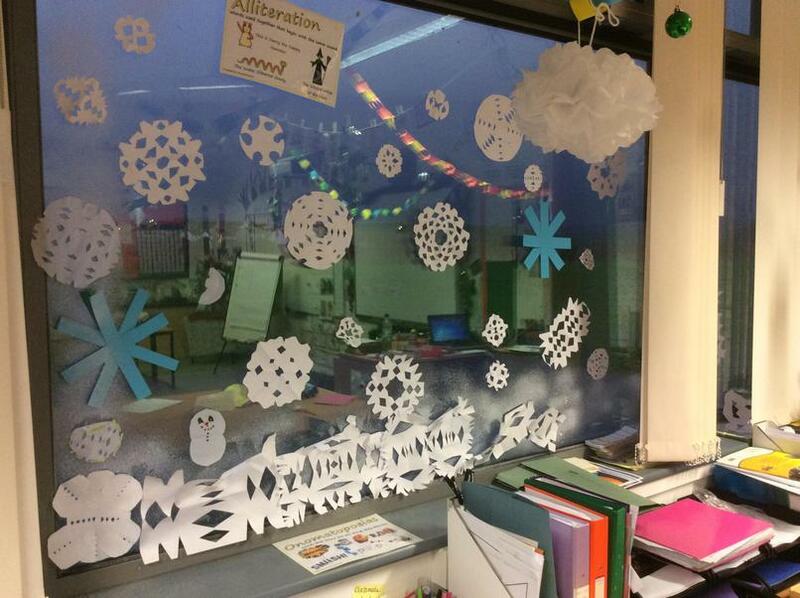 Over the last few days we have been preparing for a Victorian Christmas! 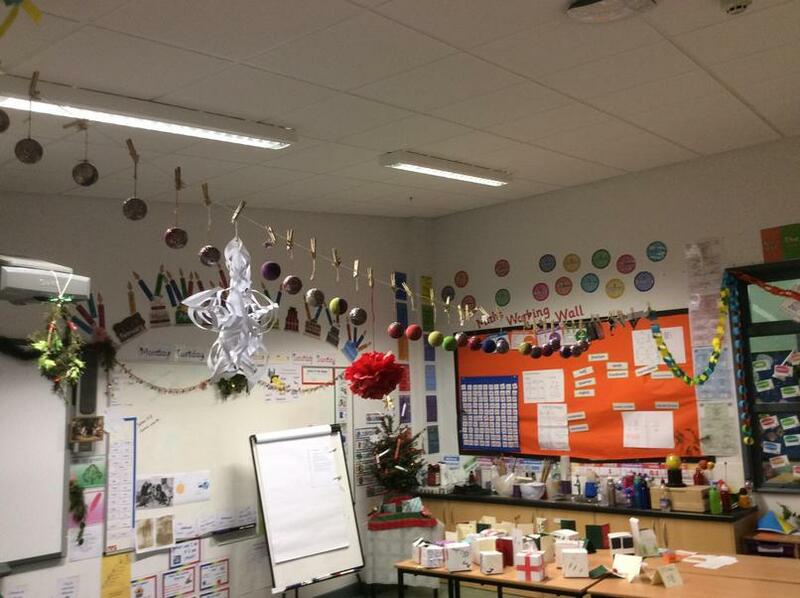 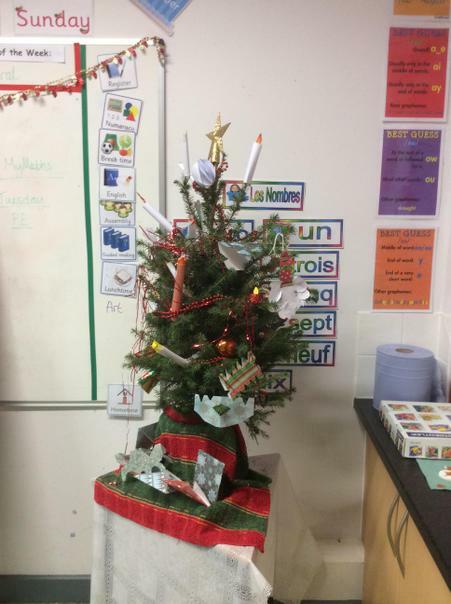 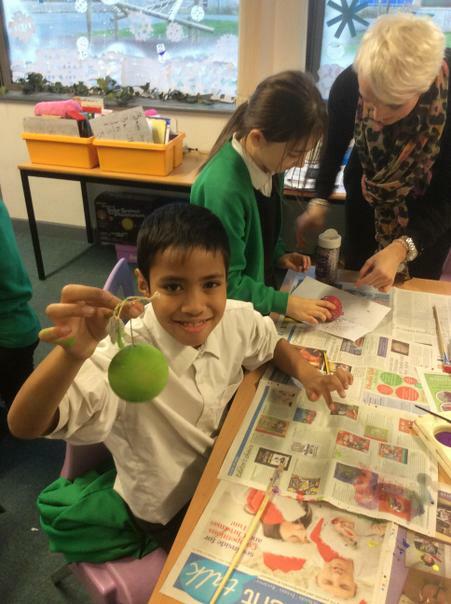 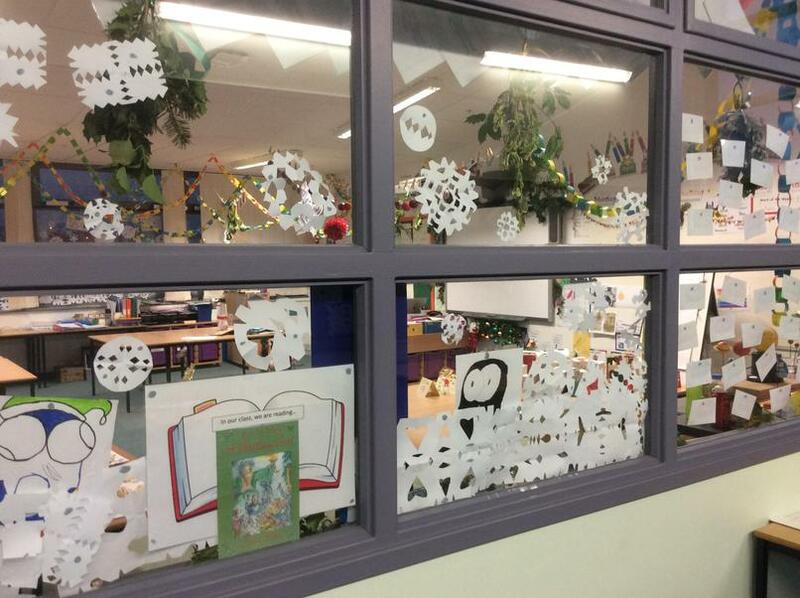 We decorated the classroom with traditional greenery and paper chains and this afternoon we made a whole range of decorations including baubles and salt dough ornaments. 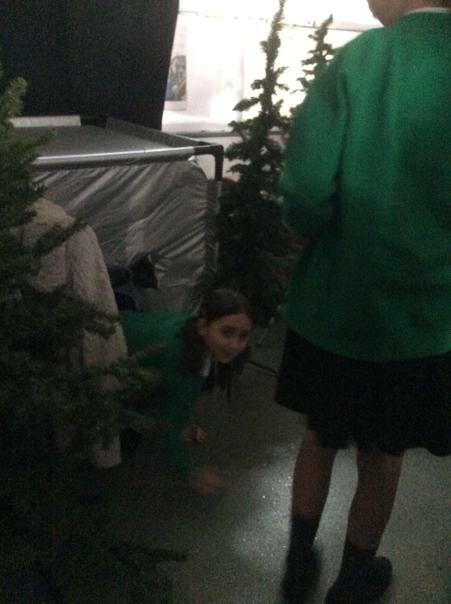 We are looking forward to seeing "A Christmas Carol" tomorrow and a fun filled last few days of term. 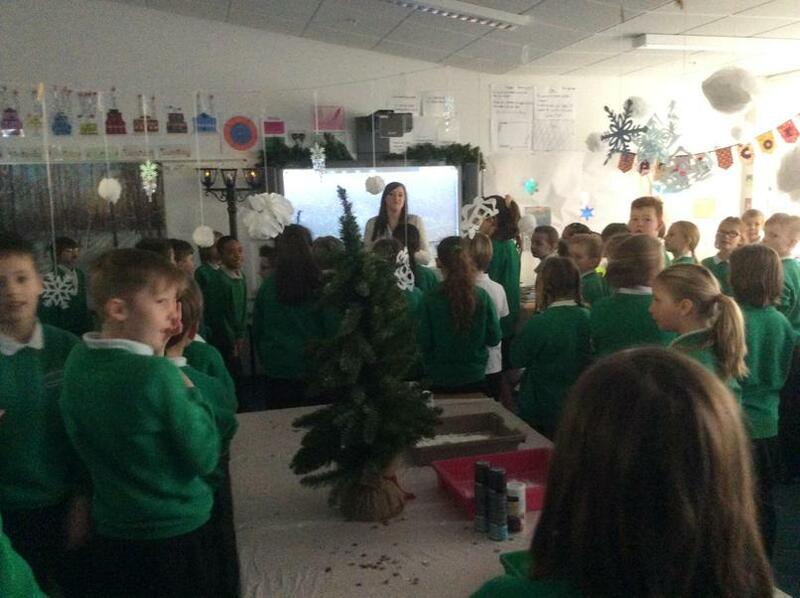 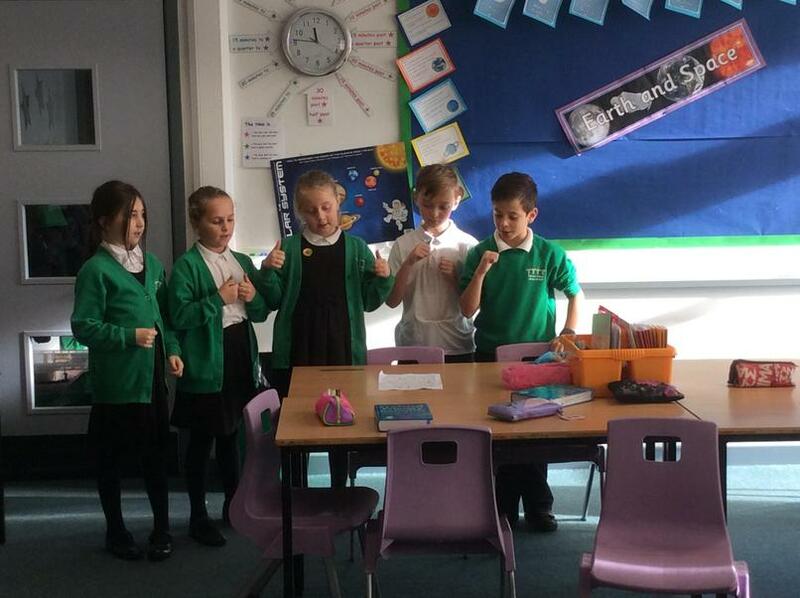 The children have a half term homework in their books; we have asked them to choose and learn a poem to perform to the rest of the class in the new year. 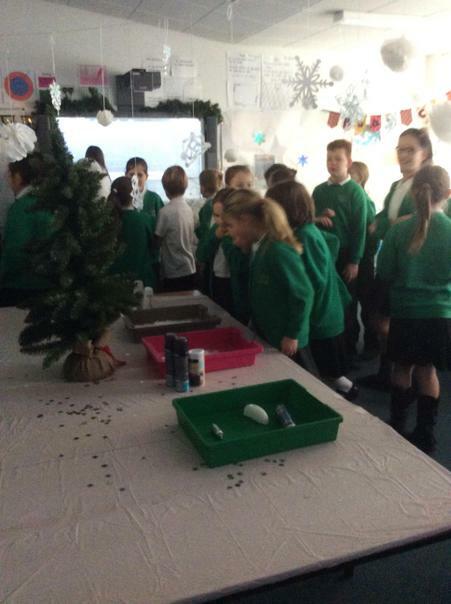 This is not compulsory but it is something they will all have to do at some point through the year so it would be great if we could have lots of performances in the first few weeks back! 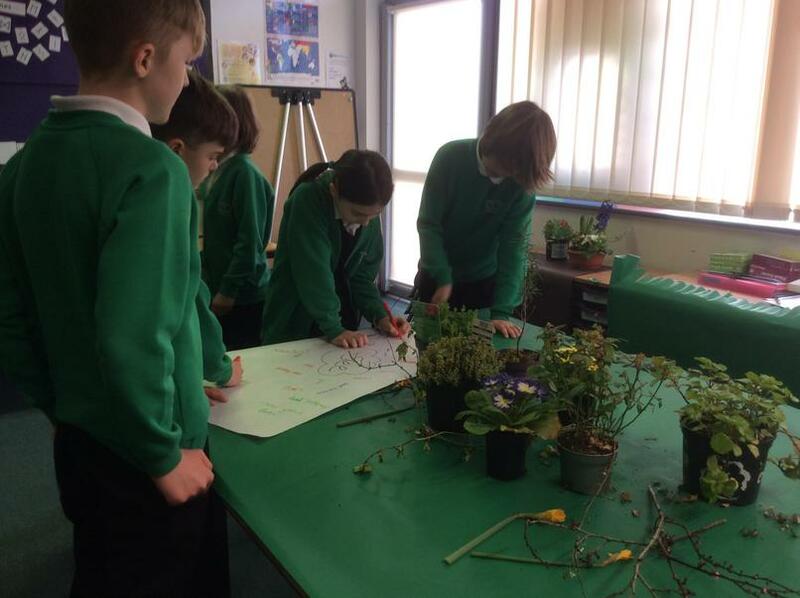 We will give them a chance to have a look at some poems to choose from this week so they might bring one they have chosen home! 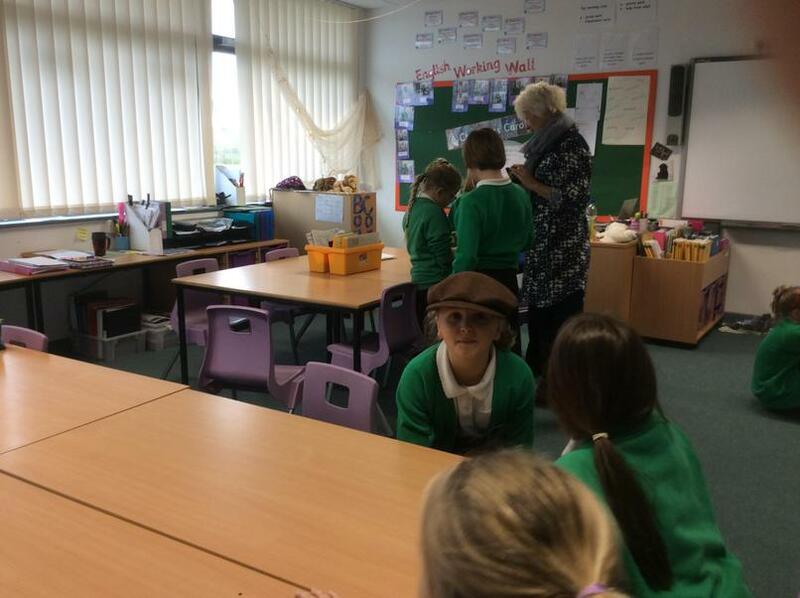 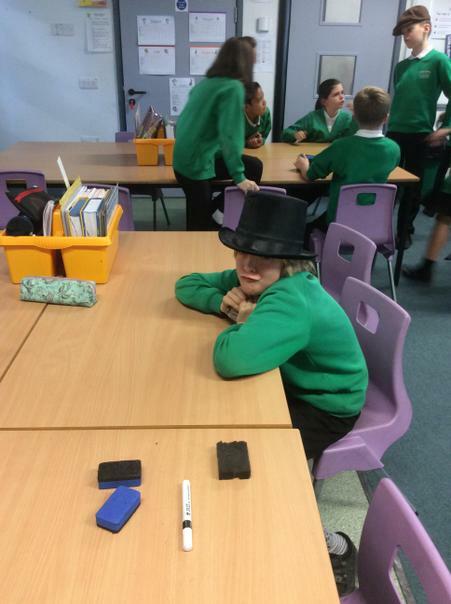 This half term we have been finding out about the Victorian Era. 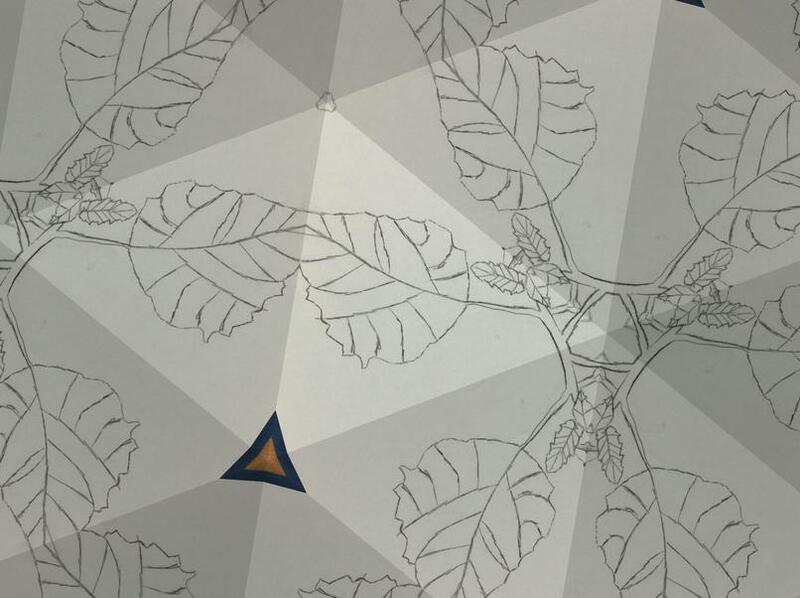 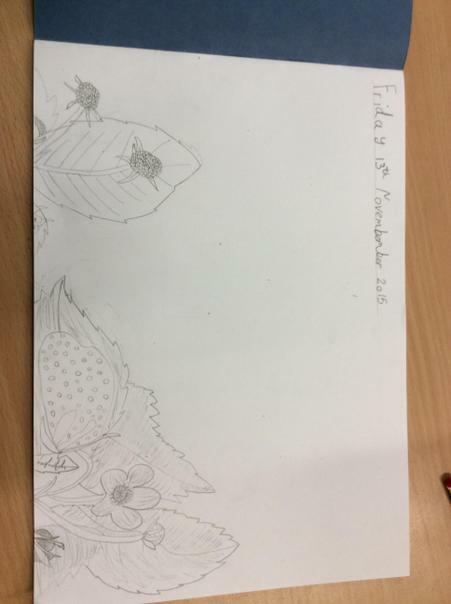 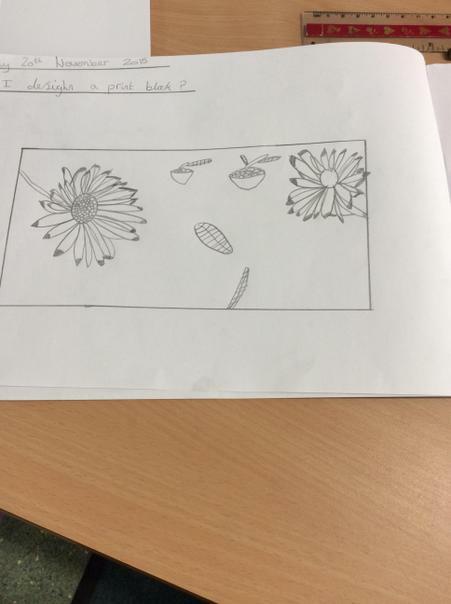 We have thought about the lives of rich and poor people at the time and how they were different and we have looked at the art work of William Morris. 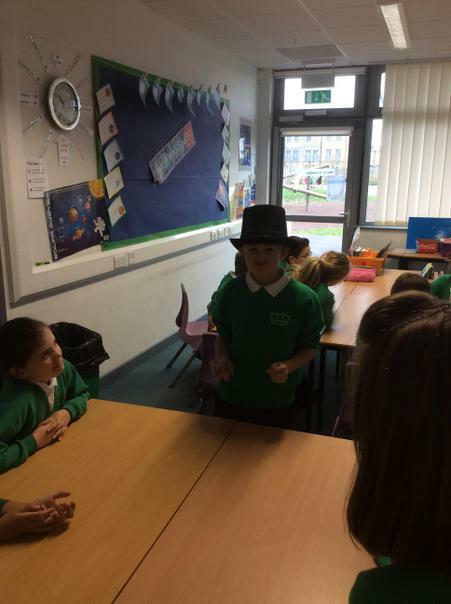 In English we have written persuasive letters to Lord Shaftesbury and we are now reading A Christmas Carol by Charles Dickens.